This entry was posted in Home Security, Locks and tagged Building Security, Home Locks, Smart Home Security, Theft Prevention on January 15, 2018 by Locksmith. When was the last time you locked your keys in your home? How about getting halfway to your destination, only to realize that you haven’t locked your door? Thanks to new technology, these annoyances and uncertainties are a thing of the past. You can enjoy the security and convenience of an electronic door lock at an affordable price point. The earliest locks came with a keypad, which involved entering a pin to gain entry. While these methods are still popular, the newer models use touchscreens and have extra security features. RFID uses radio frequencies, like a key fob or a card, to achieve entry. The main disadvantage of these is that, like keys, you’ll need the fob on your person to enter your household. This can be difficult when your arms are full of groceries or you lock them inside. Biometric entries are likely the most sophisticated and use your fingerprint to open the door. It’s similar to the features available on newer cell phones. If you want additional people to have access to your home, simply program them into the system. 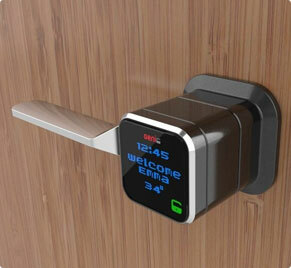 Finally, locks enabled with Bluetooth sense your phone and open automatically when you approach. These models often have a backup plan when your phone runs out of battery. The nice thing about newer electronic locks is that they often offer remote entry via an app on your phone, and they can integrate with your other “smart home” features, which adds an extra layer of protection. For example, you might realize on the beach three hours away that you left your curling iron plugged in and you can’t remember if you turned it off. You can alert your neighbor, unlock the door for them, disable your alarm system, and lock it again once they leave. The August Smartlock consistently ranks highest in consumer publications because of its convenience and efficiency. Its sleek, circular design replaces your single deadbolt and allows you secure entry to your home using your iOS or Android device. The August Smartlock works through Bluetooth or your wifi connection. The lock features AA backup power, so it will keep working even if your power goes out. Best of all, you can issue virtual keys to others as needed. Log records sent to your app will tell you who enters your home and when. Samsung is a well-established brand in the IoT world. The main advantage of choosing a Samsung door lock is you can expect seamless integration with your other Samsung appliances, from TVs to security sensors. The Samsung complete smart home system app can provide information about remote entries, visitor logs and more. Even if you use the digital door lock as a standalone product, you can use a passcode to unlock, or even a fingerprint on premium models. The door locks automatically when you leave, which is a convenient perk. Kwikset models often get high marks for the quality-to-cost ratio, and the Kevo is no exception. This is a historical brand in home locks, and they keep the aesthetics of their locks classic while loading them with high-tech features. The Kevo uses both RFID and Bluetooth, which allows users the flexibility of unlocking via the included fob or their smartphone. It’s both iOS and Android compatible. Give out an unlimited number of guest “eKeys” and monitor all activity over the app. The Kwikset also integrates with the Nest Learning Thermostat, one of the most popular smart devices available. The Schlage touchscreen deadbolt is a good option for those who want the high-tech convenience of a smart lock, but don’t want to deal with key fobs or controlling anything remotely via an application. 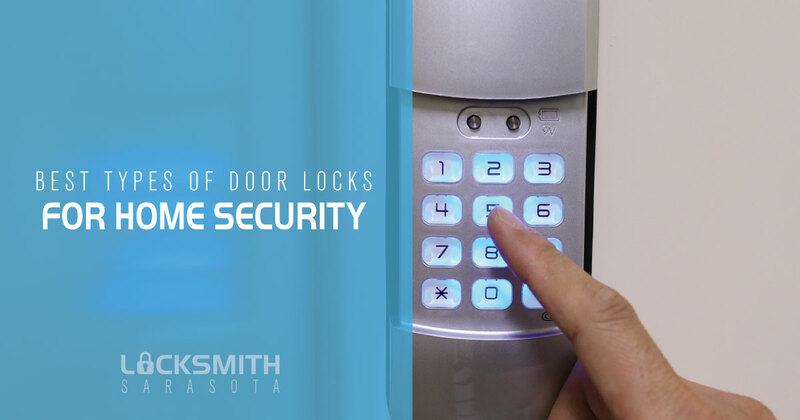 Schlage Locks have the highest lock security rating, which gives you valuable peace of mind. There are several features that give Schlage this designation – for example, an alarm sensor goes off when someone opens the door, and you’ll hear it no matter where you are in your home. The touchscreen is fingerprint resistant, so you won’t have to worry about someone tracking your code and gaining unauthorized entry. You can also set it to lock automatically after you close it. Schlage products integrate with all Z-Wave Home Automation products to aid in your home-monitoring needs. This makes it a great value, and a smart choice for those who want scalability in their door lock. The smart lock you choose will be based on your unique needs, budget and security goals. No matter which locks you select, however, you’ll benefit from a professional installation. For more information about the professional installation of your security door lock, please contact us.